After a daring, narrow escape, Tangled's Rapunzel and Flynn Rider are determined to live their dreams - they'll soon discover their new dream are each other. 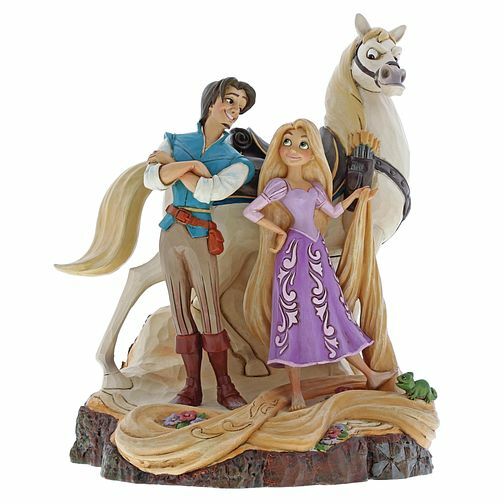 The hewn log base of this hand-painted stone resin figurine adds to its enchanting effect. Made from resin. Unique variations should be expected as this product is hand painted. Packed in a branded gift box. Not a toy or children's product. Intended for adults only.